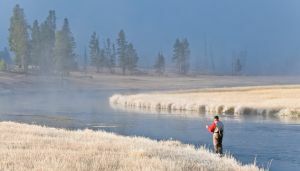 At the most recent Federation of Fly Fishermen conclave held in West Yellowstone, among other activities there was a lot of fly casting taking place. Never one to ignore such a thing, I took in the proceedings with great interest. The wide variety of casting skills I saw on display reminded me—as always—that one of the most difficult things to do in all of fly fishing is to cast twenty feet. Twenty feet? Am I kidding? No, I’m not. And I’m not being snide, either. I’m simply talking about casting a fly accurately to a target twenty feet away from where you stand via a tightly driven loop of line and leader. Try it yourself. If you find that you can cast twenty feet (this includes your leader) repeatedly, accurately, with a tight loop, in the presence of wind, congratulations. You know a thing or two about fly casting. Indeed, you are casting better than 98% of all fishermen. What makes the short cast so difficult? Several reasons, but the primary one is using a casting stroke too long for the length of line being cast. For maximum efficiency and effectiveness, a given length of line requires a given length casting stroke. When the length of the line changes, so too must the length of the stroke. There is a simple tenet regarding this concept that every angler should know: Short line, short stroke. Longer line, longer stroke. The goal here is to find the right stroke length—slightly different for all of us, owing to our physical differences—that delivers the fly to the target with a tight loop, turning over a foot or so above the water. In this way we can achieve great accuracy and render irrelevant most wind. In really big wind, you may also have to speed up your stroke to straighten your leader and fly. But increasing the speed of your stroke must be done in conjunction with the proper length stroke. Effort alone will never straighten your leader and fly—your stroke must be the right length first. 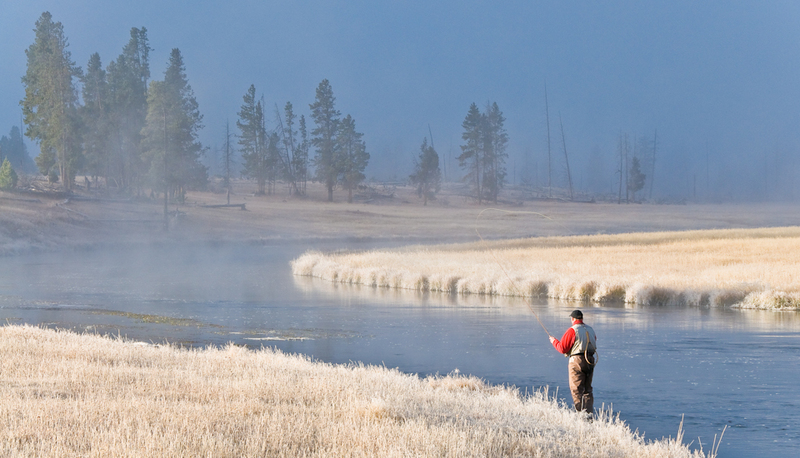 Casting twenty feet (or shorter) should be one of the simplest tasks in fly fishing, but for most anglers it remains one of the most difficult. To make it simple, just remember to employ the right length casting stroke. For almost all of us, that means shortening our stroke.